The Kramer Network Server, with Kramer Network, provides seamless processing capabilities for 64 of its input channels, and distribution to over 1000 outputs for large-scale audio deployments such as airports, hotels, courtrooms, and hospitals. The unit is fully compatible with any Dante™ audio signal and provides auto-detection of all Kramer devices and their functionality. 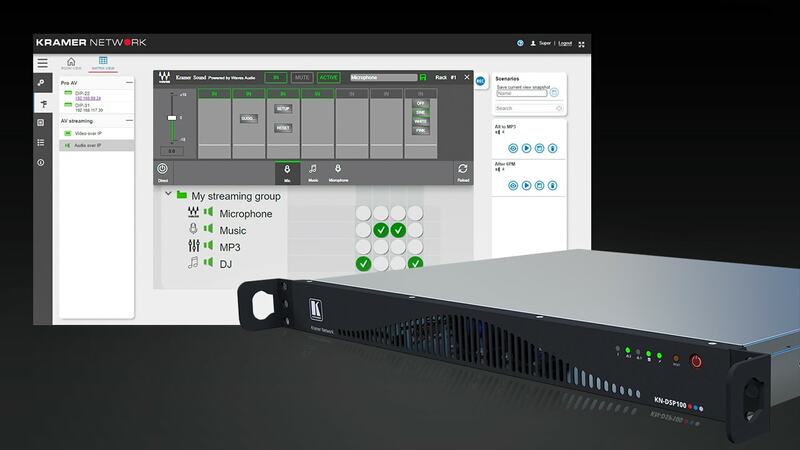 With Waves plugins and MultiRack integrated, the Kramer Network Server gives AV professionals the same powerful tools that world-renowned live sound engineers rely upon daily. 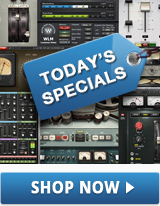 Bundled with top Waves plugins (Q10 Equalizer, C4 Multiband Compressor, MaxxVolume, L2 Ultramaximizer, Renaissance Compressor, Dorrough Stereo, MaxxBass, OneKnob Louder and OneKnob Phatter), the KN-DSP100 covers a vast array of processing needs. Learn more at the Kramer website.